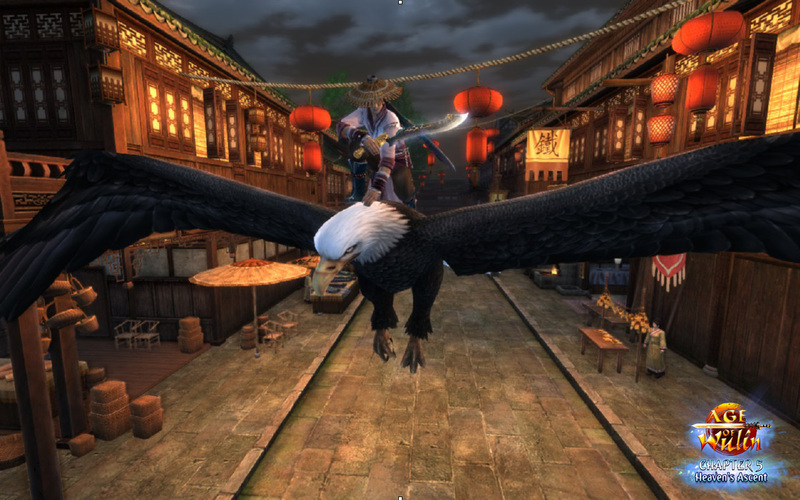 Webzen’s martial arts inspired free to play MMORPG, Age of Wulin, will be receiving its 4th expansion later this month. “Chapter 5: Heaven’s Ascent” will launch on April 28th and the expansion promises the addition of Class-06 equipment and the Ladder to Heavens Arena tournament. The Ladder to Heavens Arena is a daily tournament that all players can take part in. Matchmaking is done according to level and participants can earn Ancient Manuals, skill books, and materials by doing well in the contest. A new stage of the Age of Wulin Record is added with the expansion, titled “Before the Final Battle”, which contains several events to complete in order to reap the desirable new Class-06 gear. Once completed, players will be able to upgrade their equipment with crafting, challenging the tougher-than-ever Yanmen Pass, competing on the Battlefield, or from the Sects and Factions. Different sets will be available, each with their own specifications and style. Webzen is also promising that this expansion will bring many improvements to existing game features, but hasn’t revealed exactly what those improvements are yet. Keep your eyes on the official site as more details are released between now and the expansion’s launch. when it first released i actually liked the concept of the game until i realized how grindy and p2w it can get with the vip thing players say its just a boost but if that boost is ABSOLUTELY necessary. due to open world pk and stuff its p2w. the pve content is almost non existant 95% of the quests are repeatables.